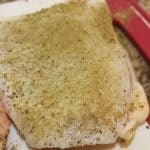 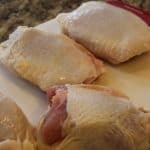 Start by drying your chicken with a paper towel, this will make the spices stick better, and in the ned, give your chicken a better flavor. 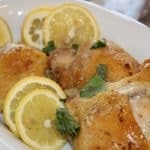 Spread the olive oil and lemon juice over the chicken. 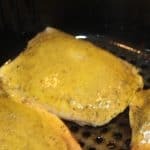 Rub the spices over the chicken. 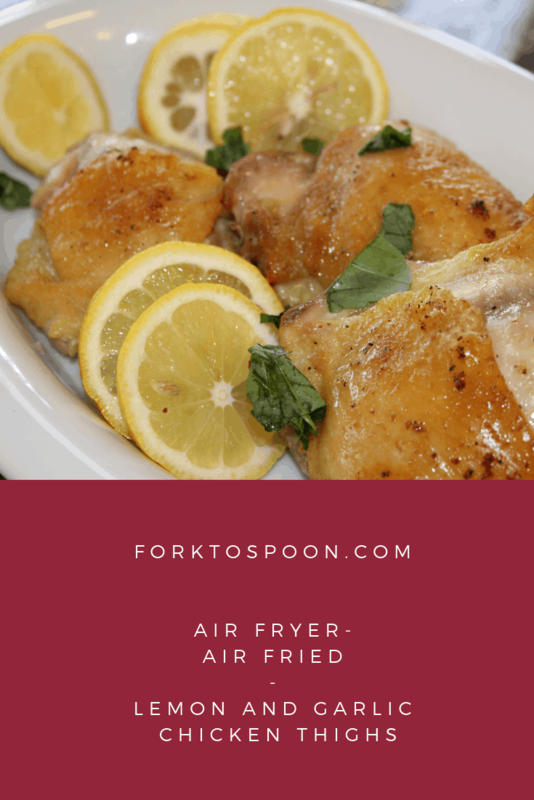 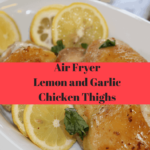 Set the chicken in the air fryer basket, at 360 degrees F, for 10 minutes, after 10 minutes, flip them, and cook for another 10 minutes. 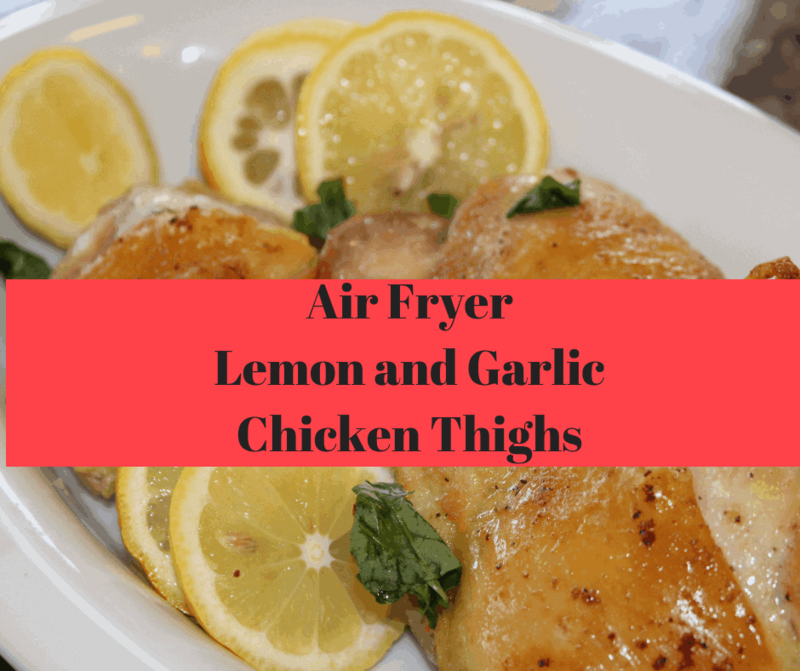 Remove from the air fryer, I cut up some lemons and herbs and placed them on a bed, ready for serving.